Alfred Brownell is widely recognized as one of the world’s leading defenders of human rights and the environment in Africa. He is the founder and lead campaigner of Green Advocates International and currently served as Distinguished Scholar in Residence at Northeastern University School of Law Program on Human Rights and the Global Economy (PHRGE). He is a litigator and served as lead counsel to Green Advocates and its community partners and networks which include hundreds of local community organizations, labor unions and informal sector business enterprises and tens of thousands of indigenous peoples and local community inhabitants. He has campaigned ferociously for the recognition of the customary land and property rights of local communities and indigenous peoples throughout Liberia and West Africa. Through Green Advocates Public Interest Law Program, Alfred has filed several international complaints against major agro companies on behalf of local communities and indigenous peoples. He is active in the field of business and human rights, serving on the Steering Committee of ESCR-Net’s Corporate Accountability Working Group and assuming leadership in the African regional civil society processes relating to the drafting of a treaty on business and human rights at the United Nations Human Rights Council. Alfred is a member of the OECD Watch, Coordinating committee, representing civil society in Africa, a founding member of the Kimberley Process Civil Society Coalition and a former international board member of the Extractive Industry Transparency Initiative (EITI). He is currently a Steering Committee member of the ETO Consortium which refers to the extraterritorial (human rights) obligations of states towards persons outside their territories. At the sub regional level, Alfred along with other civil society colleagues, formed the Mano River Union Civil Society Natural Resources Rights and Governance Platform and the Public Interest Lawyering Initiative of West Africa (PILIWA) where Alfred currently serves as the co-director. Professor Shalanda H. Baker is a Professor of Law, Public Policy and Urban Affairs at Northeastern University. Professor Baker is an affiliate faculty member in Northeastern's Global Resilience Institute and Department of Political Science. She teaches courses at the law school and in the College of Social Sciences and Humanities. Baker was awarded a 2016-17 Fulbright-García Robles grant, which she utilized to explore Mexico’s energy reform, climate change and indigenous rights. Before joining Northeastern's faculty, Professor Baker spent three years as an associate professor of law at the William S. Richardson School of Law, University of Hawai’i, where she was the founding director of the Energy Justice Program. Prior to that, she served on the faculty at University of San Francisco School of Law. Baker holds a Bachelor of Science degree in Political Science from the United States Air Force Academy, a Juris Doctor from Northeastern University School of Law, and an LLM from the University of Wisconsin School of Law, where she also served as a William H. Hastie Fellow. Immediately after law school, before working as a corporate and project finance attorney in both the Boston and Tokyo offices of the law firm of Bingham McCutchen, Professor Baker clerked for then-Associate Justice Roderick Ireland of the Massachusetts Supreme Judicial Court. Gregory White is the Mary Huggins Gamble Professor of Government and the chair of the department at Smith College. He is also a member of the Environmental Science and Policy program. From 2011-2014, he served as the Faculty Director of the Lewis Global Studies Center. He received a doctorate in Political Science and African Studies from the University of Wisconsin-Madison and has held Fulbright scholarships to Tunisia and Morocco. In 2009-10 he received a New Directions Grant from the Andrew Mellon Foundation and was in residence at Columbia University’s Earth Institute. He has served as a co-editor of the Journal of North African Studies since 2014. He is the author of Climate Change and Migration: Borders and Security in a Warming World (Oxford University Press, 2011) and co-editor of North African Politics: Change and Continuity (Routledge Press, 2016). His recent work continues to focus on “climate refugees,” an issue that lies at the intersection of migration, environmental, and security studies. Natalicia Tracy received her PhD in Sociology from Boston University. She writes and teaches about race, power, and immigration in the United States through courses in Sociology, Labor Studies, and Human Services at UMass Boston. She has been the Executive Director of Boston’s Brazilian Worker Center since 2010, where she supports members of the immigrant community in fighting exclusion and marginalization, especially in their work lives. She is a co-founder of the Massachusetts Coalition for Domestic Workers, and helped lead the campaign to pass the state’s 2014 Domestic Worker Bill of Rights, and in 2015 to win rights for domestic workers in the state of Connecticut. She is the co-author of Invisible No More: Organizing Domestic Workers in Massachusetts and Beyond (2014); and “Immigrants, Undocumented” and “Immigrants, Illegal,” in The Wiley Blackwell Encyclopedia of Race, Ethnicity, and Nationalism (2015). She was named one of the nation’s 2013 Petra Fellows, recognizing unsung heroes in the struggle for social justice. In 2014, she received the Richard L. Fontera Memorial Award, for her commitment to education and the ideals of democracy and social justice, and the Greater Boston Labor Council, AFL-CIO, Leadership Award for her advocacy for domestic workers and the passing of landmark legislation. In 2015, she was named one of the nation’s 25 most significant Black women labor leaders in the “And Still I Rise Project” of the Institute for Policy Studies, Washington, DC, and won the Jorge Fidalgo Community Service Award from the Massachusetts Alliance of Portuguese Speakers. 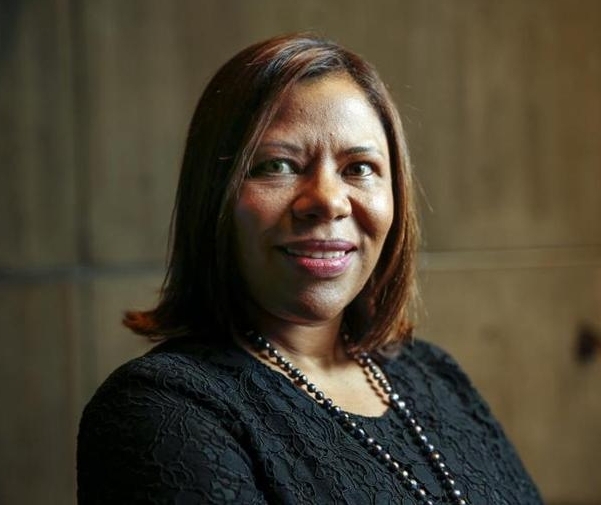 She was appointed by Mayor Walsh to serve on the city’s Living Wage Advisory Committee, and is a member of the Advisory Board of the Mayor’s Office of Immigrant Advancement, and board member at the Women’s Institute for Leadership Development, and the Boston Women’s Fund. Matthew leads the People on the Move team at the Raoul Wallenberg Institute of Human Rights and Humanitarian Law. Academically, he focuses in particular on the international legal status of persons who are displaced in the context of disasters and climate change, and successfully defended his doctoral thesis in 2018, entitled Refugee Status Determination in the Context of ‘Natural’ Disasters and Climate Change: A Human Rights-Based Approach. He also coordinates the Institute’s activities relating to refugees and other displaced persons across Africa, Asia-Pacific, Europe and MENA regions, working across research, education, direct engagement and human rights forum modalities. He teaches Masters-level courses in international human rights law and international refugee law at Lund University and convenes the core module on Protecting human rights, refugees and displaced persons in international law for the University of London, School of Advanced Study MA in Refugee Protection and Forced Migration Studies. He has 15 years of experience working in the field of international migration and forced displacement, including with UNHCR, the Australian Department of Immigration and Citizenship, as a specialist immigration and asylum legal aid lawyer in London and as a consultant for the Odysseus Academic Network. His academic work has been published in the International Journal of Refugee Law, Refugee Survey Quarterly, Forced Migration Review and in specialist edited volumes. Shaun Goho is a Lecturer on Law at Harvard Law School as well as the Deputy Director and Senior Staff Attorney of the Emmett Environmental Law and Policy Clinic. Mr. Goho graduated from HLS in 2001, where he was Developments Editor of the Harvard Law Review. He also holds B.Sc. and M.Sc. degrees in biology from McGill University. Following graduation from law school, he clerked for Judge Reginald C. Lindsay in the U.S. District Court for the District of Massachusetts. He then worked for three years in the Washington, D.C. office of O’Melveny & Myers, with a practice largely focused on securities litigation, and for three years in the Seattle office of Earthjustice, where he litigated in state and federal court, with an emphasis on Endangered Species Act and water rights issues. Since joining the Emmett Clinic in 2008, he has worked on a variety of legal and policy issues and has filed amicus briefs in the U.S. Supreme Court, Massachusetts Supreme Judicial Court, and several federal courts of appeals. His current projects include work on issues such as citizen science, climate change displacement, and lead in drinking water. 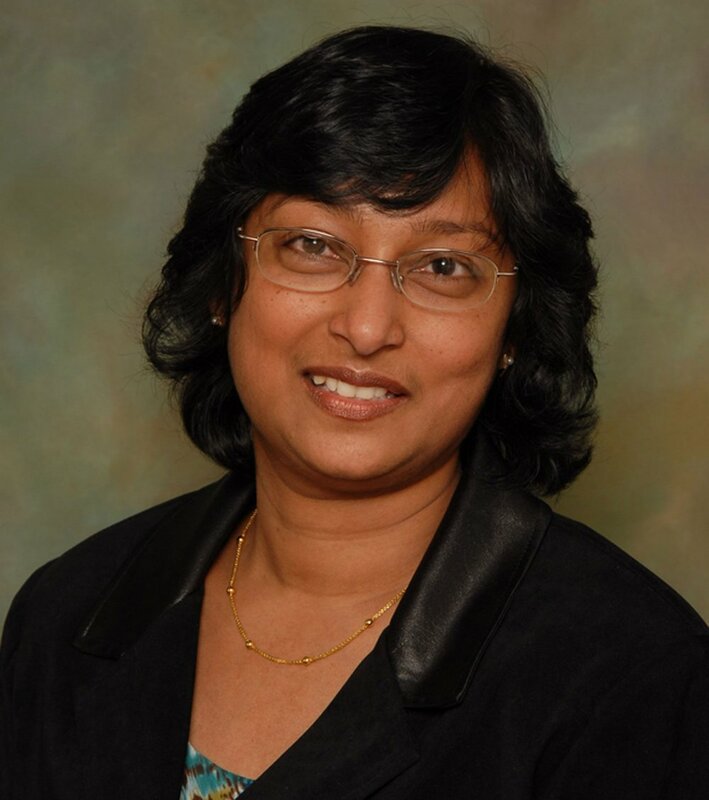 Sumudu Atapattu, PhD (Cambridge) is the Director of Research Centers and International Programs at the University of Wisconsin Law School. She teaches seminar classes on “International Environmental Law” and “Climate Change, Human Rights and the Environment.” She is affiliated with UW-Madison's Nelson Institute for Environmental Studies and the Center for South Asia and is the Executive Director of the Human Rights Program. She serves as the Lead Counsel for Human Rights at the Center for International Sustainable Development Law, Montreal, and is affiliated faculty at the Raoul Wallenberg Institute for Human Rights, Sweden. Her publications include Emerging Principles of International Environmental Law (Transnational, 2006), Human Rights Approaches to Climate Change: Challenges and Opportunities (Routledge, 2016), International Environmental Law and the Global South (co-editor, CUP, 2015); Human Rights and Environment: Key Issues (co-author, Routledge, forthcoming) and The Cambridge Handbook on Environmental Justice and Sustainable Development (co-editor, CUP, forthcoming). Linda Evarts is a staff attorney in the Litigation Department of the International Refugee Assistance Project, where she is involved in systemic challenges to recent policies preventing refugees and others in danger from reaching safety in the United States. Her recent cases include IRAP v. Trump (challenging the Trump Administration's third Muslim ban), Doe v. Trump (challenging the Administration's third refugee ban), and S.A. v. Trump (challenging the termination of the Central American Minors program). Linda was previously a staff attorney at The Bronx Defenders, where she represented hundreds of indigent clients charged with misdemeanors and felonies in Bronx Criminal and Supreme Court. After law school, Linda served as law clerk to the Honorable Dolly M. Gee of the United States District Court for the Central District of California. Linda graduated from Yale Law School, where she received the C. Larue Munson Prize for her work in the Veterans Legal Services Clinic and the Criminal Justice Clinic. During law school, Linda was an intern at the New York Civil Liberties Union and the Orleans Public Defenders, and she was an editor of the Yale Journal of Law & Feminism. Prior to law school, Linda was a U.S. Student Fulbright Scholar in Bogotá, Colombia, and she worked as a paralegal at the Federal Defenders of New York. Linda earned a B.A. from Brown University with Honors in Latin American Studies. Tyler Giannini is a Clinical Professor of Law at Harvard Law School (HLS), where he co-directs its International Human Rights Clinic and Human Rights Program. Giannini’s work focuses on human rights and the environment, business and human rights, accountability litigation, as well as communities and human rights. He also has extensive experience with Myanmar and South Africa and a strong interest in social entrepreneurship and clinical pedagogy in the human rights context. Giannini received the Albert M. Sacks-Paul A. Freund Award for Teaching Excellence from the Class of 2014. Prior to joining HLS, he was a founder and director of EarthRights International, an organization at the forefront of efforts to link human rights and environmental protection. After receiving an Echoing Green fellowship to start EarthRights in 1995, Giannini spent a decade in Thailand with the organization working on groundbreaking corporate accountability litigation. He served as co-counsel in several prominent Alien Tort Statute cases, including the landmark Doe v. Unocal case about the Yadana gas pipeline in Myanmar, which successfully settled in 2005. In addition, Giannini has helped author numerous amicus curiae briefs, including to the U.S. Supreme Court in Jesner v. Arab Bank, Kiobel v Royal Dutch Petroleum Co. and Samantar v. Yousuf. His work has also focused on governance questions related to climate change displacement, including exploring possibilities for a convention on climate change refugees. Giannini holds graduate degrees in law and foreign policy from the University of Virginia where he was a member of the law review. Elizabeth Burleson conducts commissioned research for governmental and nongovernmental entities. Burleson Institute partners with the United Nations Climate Technology Center and Network to advise countries. This builds on over a quarter of a century of energy-climate-water governance. With a degree in International Law from LSE, Burleson writes reports for the UN and presents on treaty making for the UN Office of Legal Affairs / UNITAR, having participated in the drafting process for the United Nations Framework Convention on Climate Change (UNFCCC) and Agenda 21. Burleson is an expert contributor to the International Panel on Climate Change (IPCC). Burleson Institute advises developed and developing countries, regional entities, tribes, and a range of interrelated state and non-state actors. Burleson has served as UNICEF, UNEP, NWF, ASIL, and IUCN delegate to Bali, Copenhagen, Cancun, Durban, Doha, Warsaw, Lima, and Paris UN Climate Conferences. She has served on the International Law Association’s Committees on Sea Level Rise and on Principles Relating to Climate Change, International Bar Association Working Group Report on Human Rights and the Environment,IUCN's Climate Change Core Group, and the National Wildlife Federation President's Advisory Council. As a law professor and Fulbright Senior Specialist, she has taught Energy Law, Human Rights and Environment, International Environmental Law, Public International Law, United Nations Law, International Law and China, Land Use, Property Law, International Economic Law, Trade, and the Environment, Water Law, and Environmental Law. She has been a peer reviewer for Fulbright, Oxford, Cambridge, National Academies, and a range of other academic, ministerial, and other legal/interdisciplinary publishers.Her ongoing public/private work brings together international economic, social, and environmental communities to coordinate energy-climate-water solutions. Through the Burleson Institute, she shares analysis on evolving best practices. Institute participants help address issues ranging from local to global initiatives. Burleson has conducted legal research for Amnesty International's London-based International Secretariat and New York-based Research Division. As a scholar, practitioner, and governmental advisor, shehas provided climate-energy expertise to the French, Japanese, Peruvian, United States, and Uruguayan governments. She has also provided legal advice to a wide range of developing countries through the Legal Response Initiative coordinated by Columbia University School of Law. Alexandra Tarzikhan is a JD/MPH student at Northeastern University School of Law and Tufts School of Medicine. She left her hometown of Aleppo, Syria in 2011, right at the start of the war, and moved to Boston to complete her studies. In 2015, when she began to hear about the magnitude of the refugee crisis, she decided to take a more active role in the issue. She completed a PHRGE fellowship in Lesvos, Greece supporting refugees throughout the asylum process. During her free time between both degrees, she volunteered with the Emergency Rescue Center International and visited several refugee camps in Lebanon and Jordan. When she came back to Boston, she applied to become a Clinton Global Ambassador and created an initiative to help resettled Syrians in Massachusetts. She was a co-director of the International Refugee Assistance Project here at NUSL for 2 years. She was selected as a Huntington 100 and recently gave a Tedx talk at Tufts to raise awareness and humanize the refugee crisis. She believes that all of the refugees she met while volunteering, can succeed if only they had access to the opportunities she did. She has created a social media page called Meet a Refugee to share the stories of some of the refugees she has met along the way. She is currently completing her last co-op at the Office of General Counsel at Partners Healthcare. Elizabeth Ennen began working at PHRGE in September 2016 and has been serving as the Acting Executive Director since September 2018. She specializes in asylum law and the rights of noncitizens. Ennen is currently working on a “Safe Communities” project with the Massachusetts ACLU and the Massachusetts Immigrant and Advocacy Coalition (MIRA), in which she monitors and analyzes “sanctuary city” or “safe community” initiatives in municipalities throughout Massachusetts. 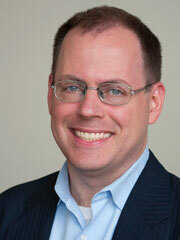 Ennen holds a PhD in philosophy from McGill University and a JD from Northeastern University School of Law. After law school, she clerked for the Honorable Justice Margot Botsford ’73 at the Massachusetts Supreme Judicial Court (SJC), served as a pro bono asylum attorney and technology consultant at Community Legal Services and Counseling Center (CLSACC) in Cambridge, and volunteered as a research associate at the Harvard Immigration and Refugee Clinic. In 2015, the SJC Standing Committee on Pro Bono Legal Services honored her with an Adams Pro Bono Publico Award for her work at CLSACC and at Harvard. Ennen currently serves as the chair of the SJC Standing Committee on Pro Bono Legal Services, and as an ex officio member of the Massachusetts Access to Justice Commission. She is also a member of the Immigration Coalition of the Massachusetts Law Reform Institute. Professor Rosenbloom teaches and writes in the area of immigration law and policy at Northeastern University School of Law. Her recent scholarship focuses on the intersection of criminal law and immigration law, the possibilities and limits of transnational legal advocacy in advancing the rights of deportees, and the role of race and immigration in the historical development of US citizenship law. She is co-director of the law school’s Immigrant Justice Clinic, through which law students represent noncitizen clients in a variety of immigration matters; engage in immigrant rights’ advocacy projects; and conduct intakes at immigration detention centers in conjunction with attorneys from the PAIR Project. Prior to joining the law faculty, Professor Rosenbloom was a fellow at the Center for Human Rights and International Justice at Boston College, where she was the supervising attorney for the center’s Post-Deportation Human Rights Project. She has been widely quoted in the media on the wrongful detention and deportation of US citizens and permanent residents, and testified on this subject at a 2008 congressional hearing before the House Subcommittee on Immigration. She has taught as an adjunct professor at Bentley University and is currently an affiliated faculty member of the Center for Human Rights and International Justice at Boston College.